Arps Dairy carries a variety of dips and spreads. 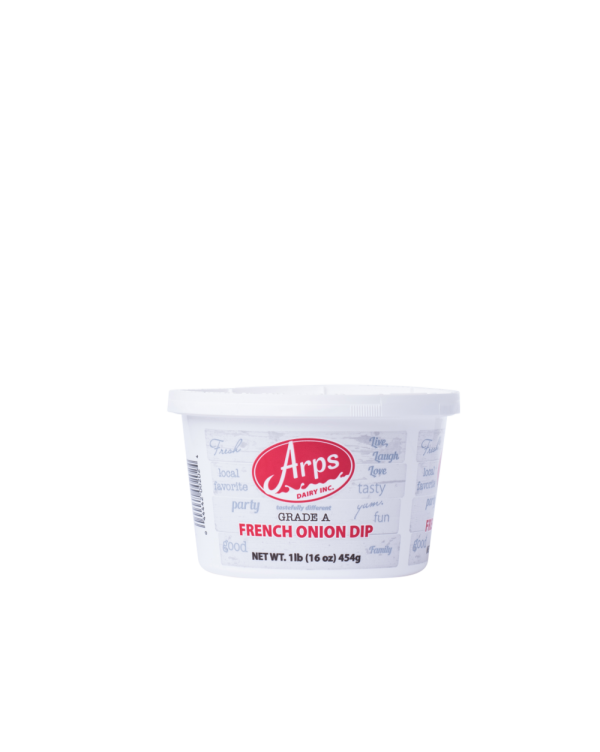 Our French Onion Dip is rich, cream, slightly sweet, a little bit salty, and full of multi-layered, big flavors and great will with just about everything including chips, crackers and pretzels. Our Savory Southwest Spread isn’t spicy like most; however, it does contain a hint of smoky flavor that will take you on a trip to the savory Southwest and is perfect for a wing dip, burger spread, a taco topping, or spread on a southwest turkey or ham wrap. And the garden-fresh flavor of our creamy Cool Cucumber Spread provides a cool and refreshing compliment to a variety of delicious, easy to make snacks and meals such as a veggie dip, cracker dip, cocktail bread spread, wrap spread, gyro spread, and lamb sauce. 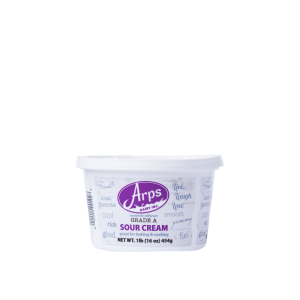 These dips and spreads which come in a 16oz container also come with a 90 day shelf life. 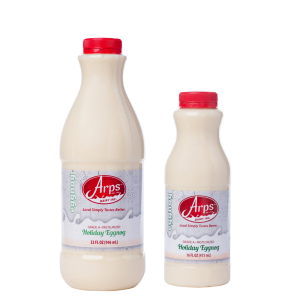 Did you know: Arps Dairy can work with your food scientists and R&D teams to create custom culinary products and breakthrough dairy solutions? 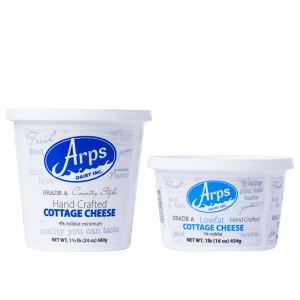 Private label opportunities for Arps Dairy’s dips and spreads. Order quantities are individual units. To order by the case, there are 18 individual 16oz dips/spreads per case.